I have an exciting giveaway for you all today!! Gretchen is the incredibly sweet shop owner and creator of SophistiCATEd Posies! You want to know what makes her Etsy shop so amazing? Gretchen is doing this all for her baby sister! Her sister has a dream of going to NYU to study musical theater and become a Broadway STAR! Gretchen started crafting so she could help her sister reach her dreams! AMAZING! Gretchen describes her posies as "vintage inspired with a hint of Southern sass!" Look at some of the posies she makes! These are just a few of her sweet posies! I am just smitten with all of her gorgeous creations! Today Gretchen is offering all of you amazing readers your choice of ANY hair accessory or jewelry piece! 1. Head over to Gretchen's shop SophistiCATEd Posies and tell me which hair accessory or jewelry piece you would LOVE to have if you won! 2. Heart Gretchen's shop on Etsy! 3. Like Gretchen's SophistiCATEd Posies page on Facebook! 4. Buy any item from SophistiCATEd Posies for THREE extra entries (please leave a separate comment for each). That's up to SIX ways to win!! This giveaway will remain open until Midnight CST on Saturday, December 10th! I will announce the winner next Sunday! Thanks Gretchen for your lovely posies! I also "hearted" her shop on Etsy! annnnnnd liked her on facebook! 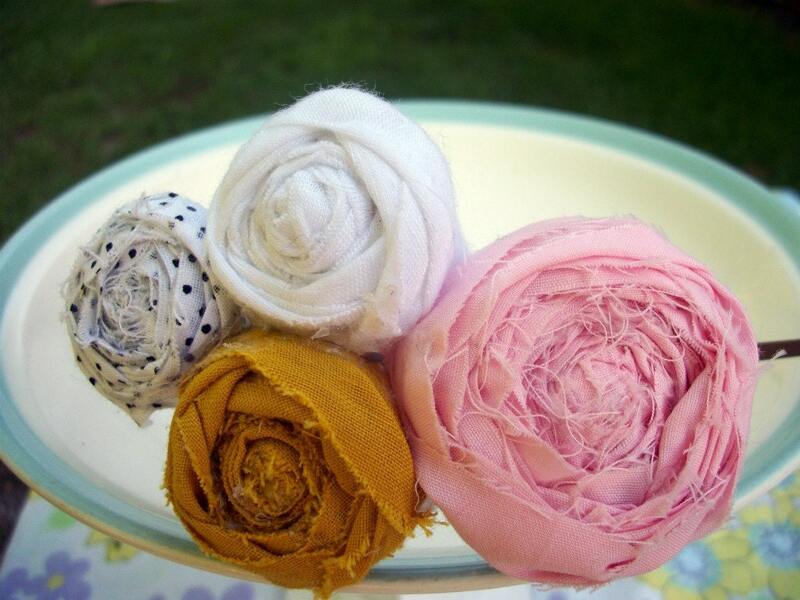 I would love to win the Rosette Headband in Mustard, Pink and Polka dots!! I LOVE the rossette Statement Pin Broach. i love the yellow and houndstooth headband- that would look cute on emmy! I want the fabric flower statement necklace! I'd love the red satin posie with the broach back - Would sure make my everyday jacket look more festive . 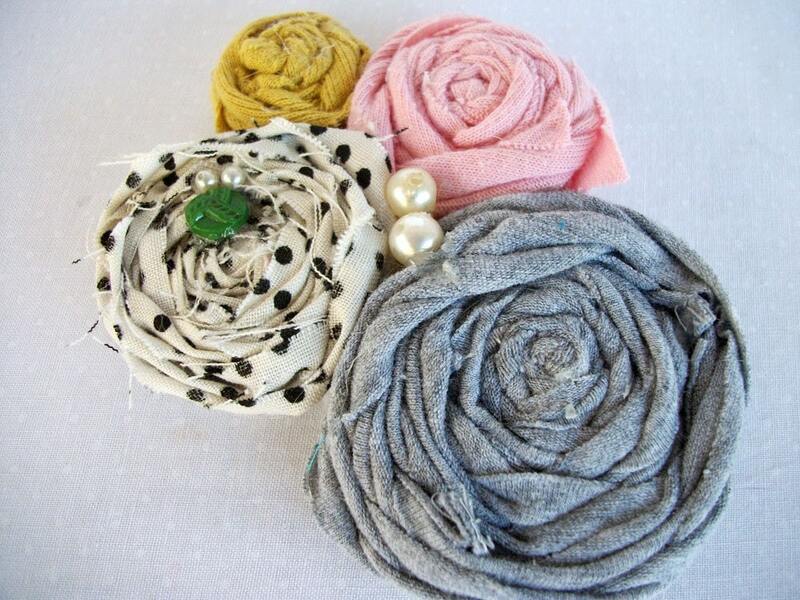 There are tons of cute items, but I'll choose the Yellow and Gray Polka Dot Posy. 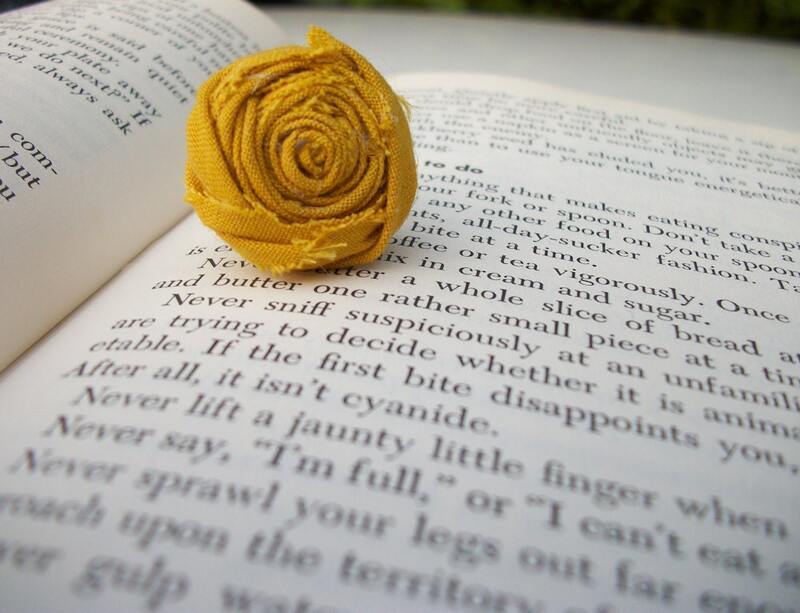 I love the rosette statement pin brooch! The possibilies with it are endless! Cute shop!! My favorite is the white pearl and lace headband! 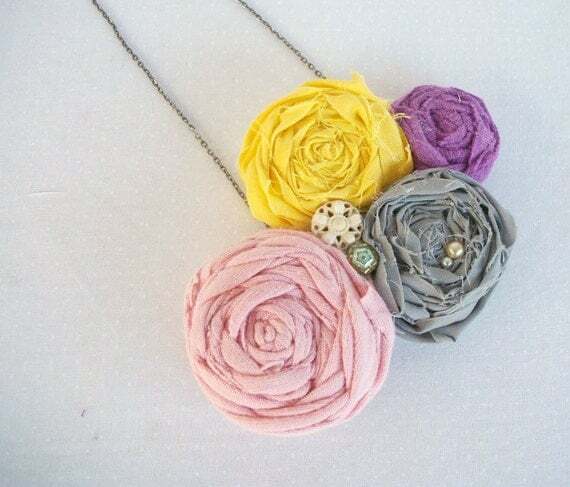 I love the yellow, pink, purple and grey rosette necklace! So pretty! I hearted Gretchen's shop on Etsy!